POLPO is a bacaro. 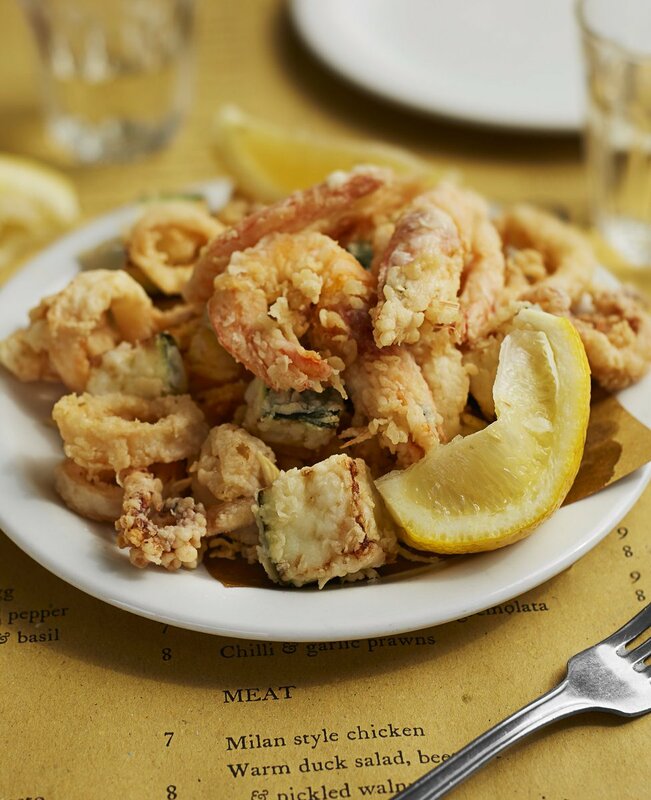 This is a Venetian word to describe a back-street wine bar that serves small plates of delicious seafood, meaty snacks and simple delicacies from the Veneto region of northern Italy. 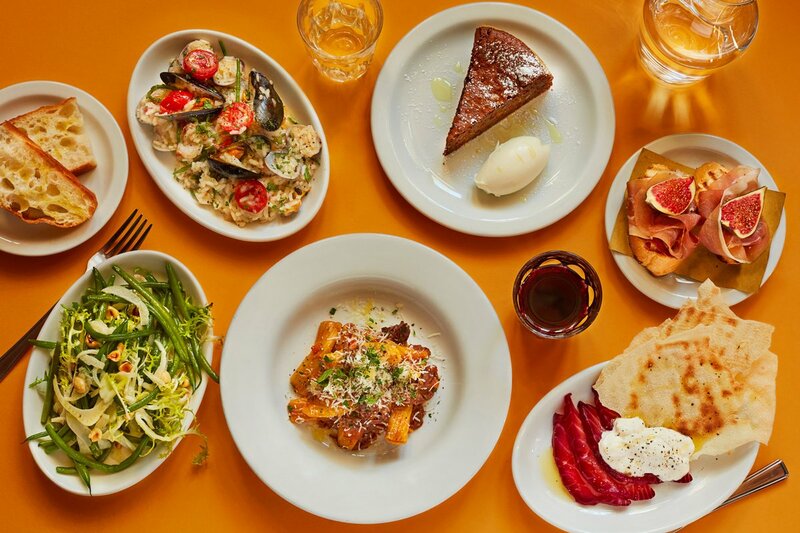 On the menu you can expect to find tasty northern Italian small plates; hearty meatballs, crisp fritto misto, pizzettas, bruschettas and piadinas. 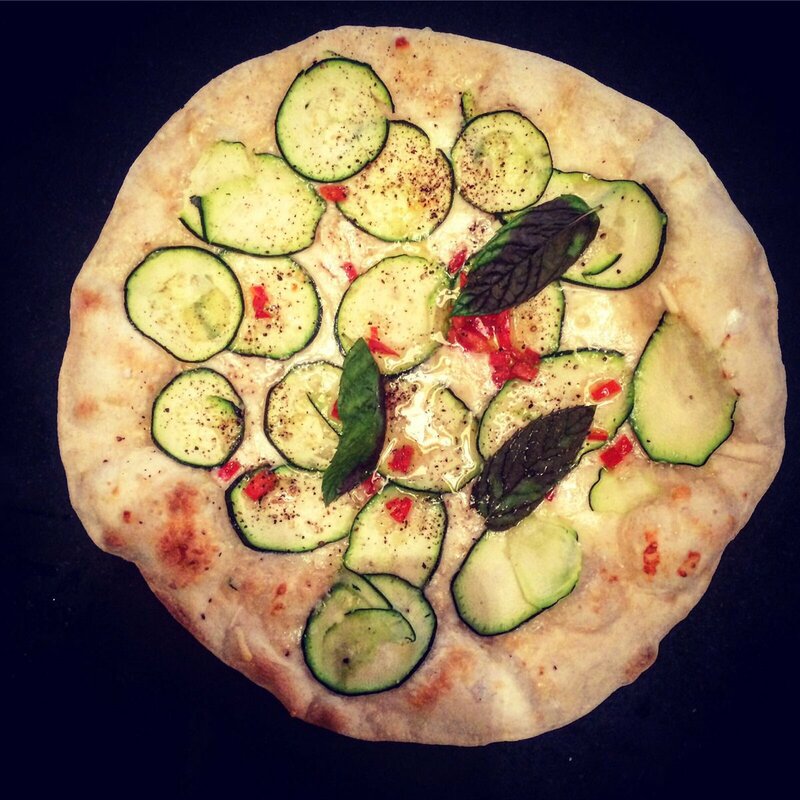 Signature dishes include cicheti such as fried stuffed olives, zucchini arancini and fig & prosciutto crostini. 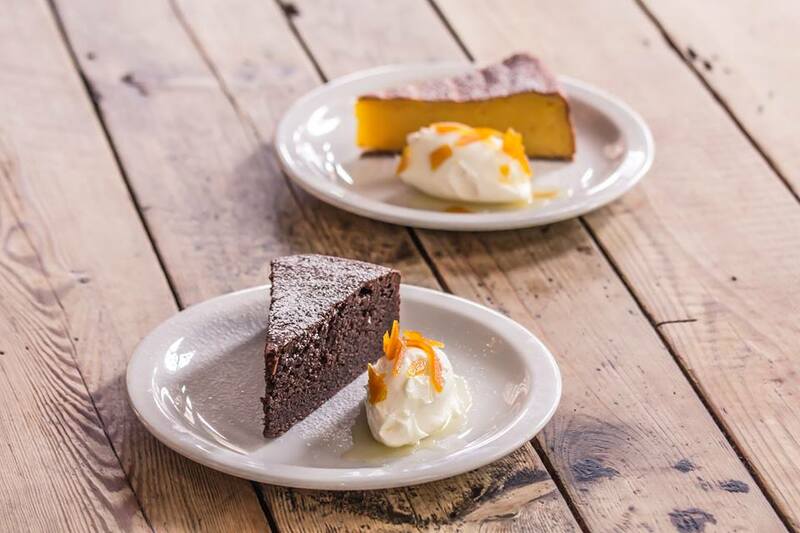 Small plates include cod cheeks with lentils & salsa verde, deep fried polenta-crusted meatballs and sliced flank steak with porcini, while the dessert list features flourless pistachio & almond cake and tiramisu. In addition to our exclusively Italian wine list and award-winning own-label Prosecco, our house cocktail is the Spritz, made with Campari or Aperol. POLPO would not be complete without a Spritz, alongside Negronis and Bellinis. 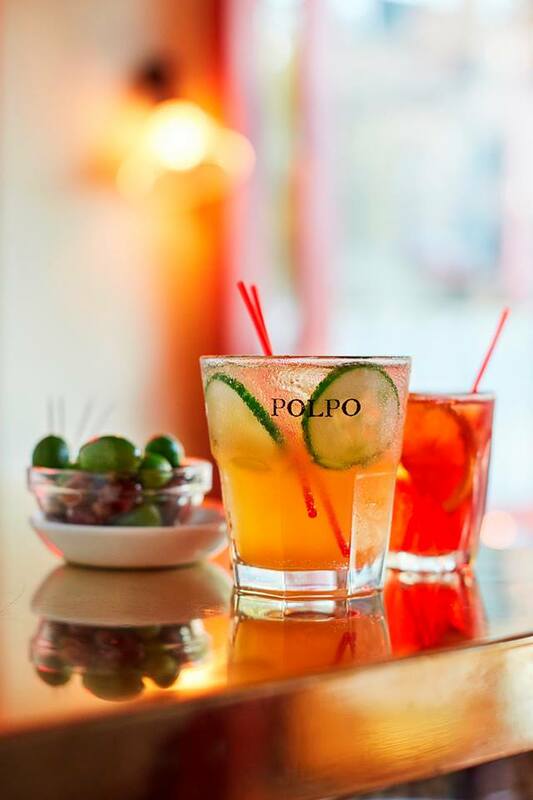 The POLPO Spritz is made using exactly the same recipe as Caffe Rosso in Campo Santa Margherita in Venice. 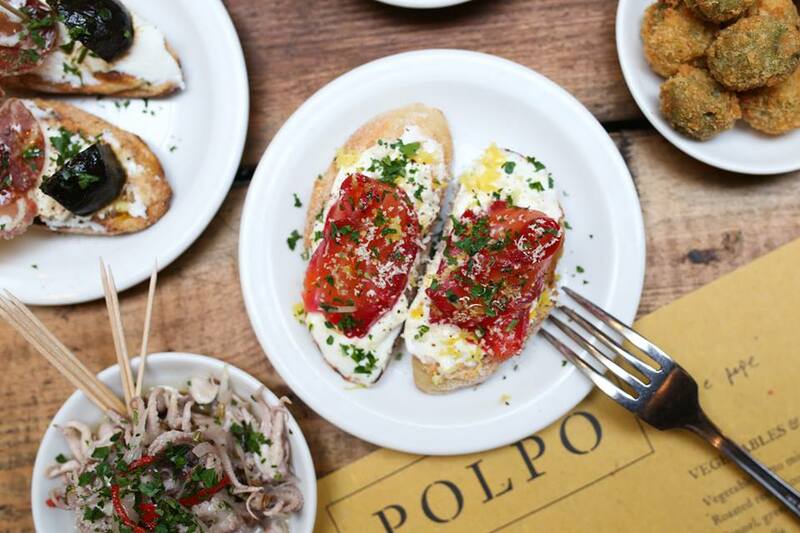 We think of POLPO as a neighbourhood restaurant and for that reason, and to keep things casual and fun POLPO creates a dining experience that transports you to the backstreets of Venice and this style of dining is particularly well-suited to casual, social gatherings, catching up with friends and family and relaxing.